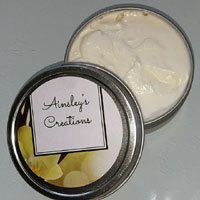 Ainsley’s Creations use only organic or all natural ingredients in all of their products. Currently body butter, lotion, body scrub, lip balm, bath bombs, and soy candles. Stephanie Bryan, owner of Ainsley’s Creations named her business after her 4 year old daughter, Ainsley. She was born with a rare condition which caused her to be born with a duplicated chromosome. Unfortunately it can’t be tied to one specific chromosome so the complexity makes it extremely difficult to treat. Raising money to go towards children’s medical research is a cause that is near and dear to Stephanie’s heart. A portion of every sale goes towards children’s medical research. Skin Smoothing: Shea butter is often used in moisturizers, creams, lotions, and other emulsions for the skin and hair. 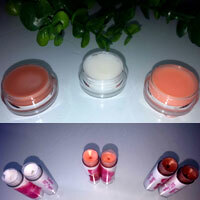 It is rich in fats that make it an excellent emollient and skin moisturizing agent. It also contains vitamins A and E, which not only keep the skin in optimal health but also protect it from being damaged by the sun’s harmful ultraviolet radiation. These components give shea butter a mild sun protection factor (SPF). Vitamin E also soothes dry skin and improves the skin’s elasticity, making this butter a good anti-aging agent. Sweet almond oil may help protect your skin from the sun’s damaging rays. Promotes Flawless Skin: Almond oil is mild and has hypoallergenic properties which makes it great for sensitive skin too. Relieves Psoriasis and Eczema: Another reason almond oil is so good for skin is because it is rich in Vitamin E which is a very effective anti-oxidant. Apply the oil regularly and your skin will combat stress and UV damage with ease. Powerful Moisturizer: Beneficial to restoring dry or flaking skin. Unlike your average moisturizer that contains a lot of water and likely synthetic ingredients, coconut oil helps to strengthen skin tissue more deeply and eliminate dead skin cells while absorbing quickly into your skin. Delay Wrinkles: Because it contains antioxidant Vitamin E, known to protect skin cells from damage over time. The Vitamin E found in coconut oil soothes eczema, sunburn and psoriasis, and its antiviral and anti-fungal benefits even help to treat bug bites. Avoid Fungal Infection: Coconut oil contains 3 fatty acids – capric acid, lauric acid, and caprylic acid. Each of these acids kill candida, a common cause of fungal infection on your skin. 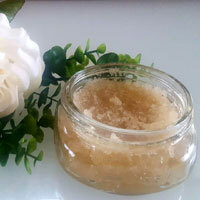 Provides the skin with necessary moisture as well as antioxidants for intense healing. High in Antioxidants: Antioxidants help fight off free radical damage to the skin. Free radicals can cause skin aging, dark patches, and dull skin. Protecting your skin from free radical damage is a must if you want healthy and younger-looking skin. This skin care ingredient is also anti-inflammatory which makes cocoa butter an anti-aging skin care ingredient as well. Deep Hydration: Cocoa butter is high in fatty acids and hydrates the skin deeply, making it a wonderful addition to body moisturizers and lip balms. It contains oleic acid, palmitic acid, and stearic acid all of which nourish the skin deeply. 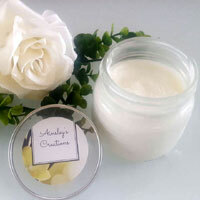 Relieves Skin Irritations: Cocoa butter has been noted to help skin irritations such as eczema and dermatitis. A perfect all natural exfollient! 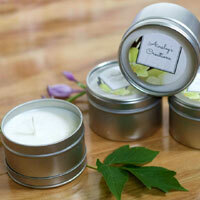 Burn Cleaner: Soy Candles contain no toxins, carcinogens or pollutants which means it’s less likely to trigger allergies. no petrol-carbon soot like you get from petroleum-based paraffin candles. Lasting Aroma: Infused with the highest amount of essential oil to ensure long lasting aromas.